Paul Draper joined Walker-Alley & Associates in 2004 specializing in land and in sales and leasing of commercial and industrial properties. He was previously Manager of Real Estate and Financial Services for CenterPoint Energy in Shreveport where he was responsible for managing the corporate surplus real estate portfolio. The properties were located in ten states and included land and commercial and industrial facilities. He specialized in liquidating surplus real estate. Paul is a native of Shreveport and graduated from Louisiana Tech University with a Bachelor of Science Degree in Accounting. He later earned a Master of Business Administration from Southern Methodist University. He is retired from the United States Air Force where he held senior leadership positions including Comptroller at Barksdale AFB and Deputy Chief of Staff/Comptroller at 15th Air Force in California. Paul is active in professional and civic organizations including the Northwest Louisiana Board of Realtors, the Louisiana Association of Realtors, and the National Association of Realtors. Paul is also a member of the Commercial Investment Division of the Board of Realtors. Paul has served as President of the Bossier City Lions Club and President of Board of Directors of the Louisiana Lions Eye Bank. He also has served as Chairman of the Combined Federal Campaign, Captain of the Federal Division, and Loaned Executive for the United Way, and he has served on the Board of Directors of the Barksdale Federal Credit Union. He is a member of First United Methodist Church in Bossier City where he has served as Church Treasurer, a member of the Finance Committee, and Chairperson of the Church Council. 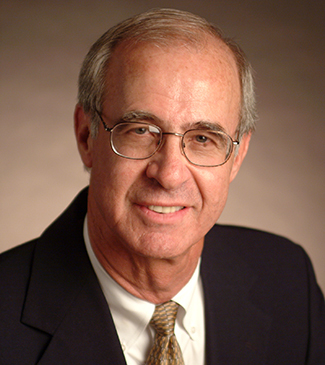 He has also been an Adjunct Professor of Accounting at LSUS, SMU, and the University of Nebraska at Omaha. Paul is well versed in all aspects of commercial real estate and is ready to assist in reaching his clients' commercial real estate goals.